Whiling away island time as you take in the views of the ocean. At Villa Thalassa in Oshima Island, you can spend your days in just such a way. The house, fitting up to five people with views of both Mt. 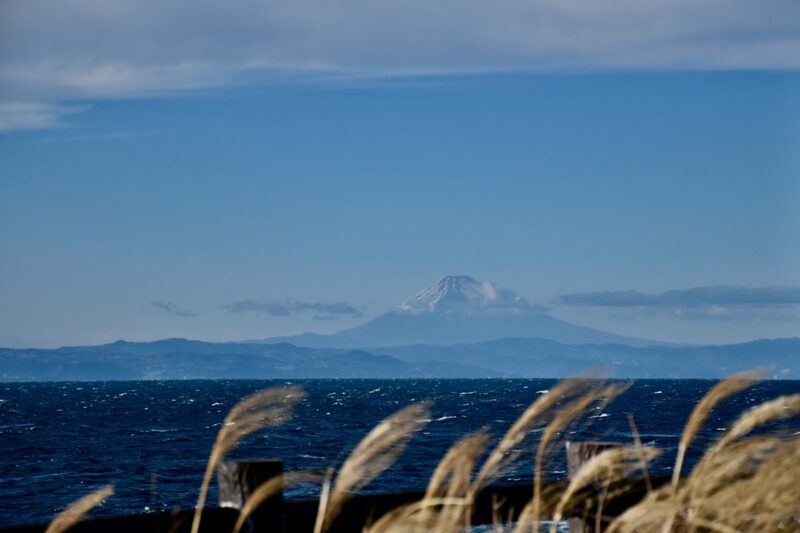 Fuji and the sea from the bedroom and bathroom, is available to rent in its entirety. 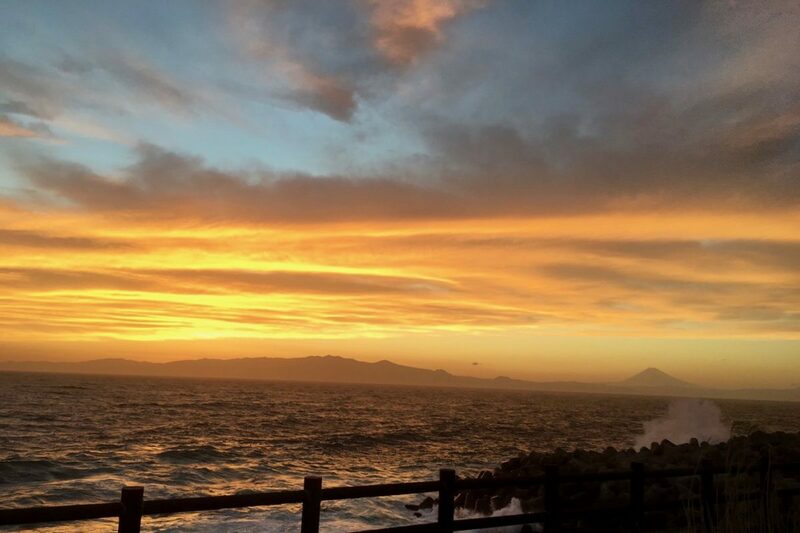 Villa Thalassa was created after the owner of the property fell in love with Oshima island. 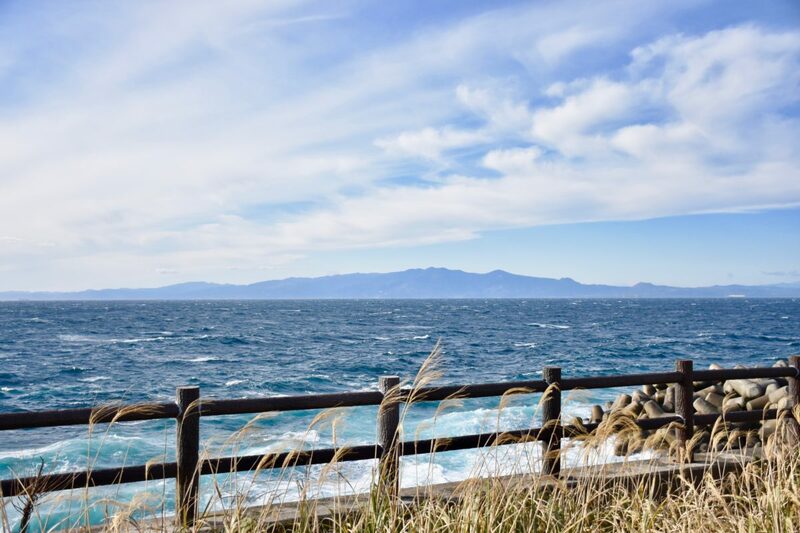 At first, it was meant as his private vacation home, but in time he wished more people could experience Oshima’s nature, as well as the fantastic view from the house, leading to him opening it up as accommodation. Giant Bath With A View Of Mt. 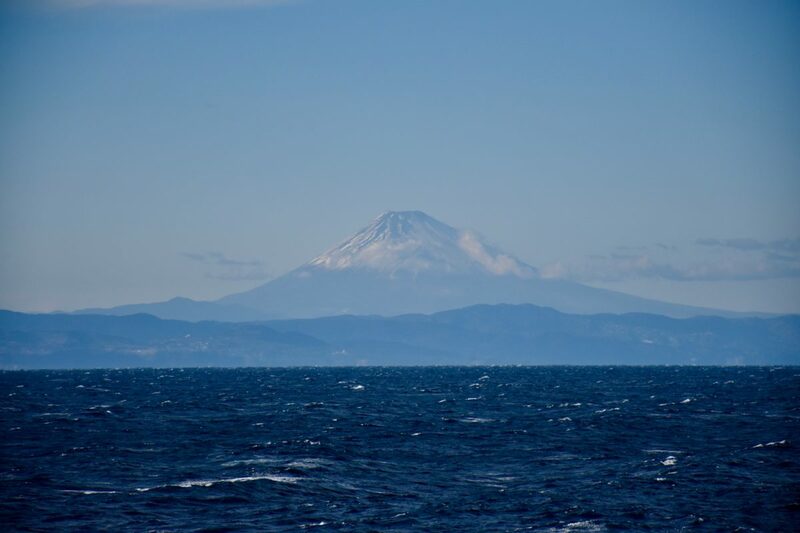 Fuji And The Ocean! You must try out the bath at Villa Thalassa, located in a building separate to the house. 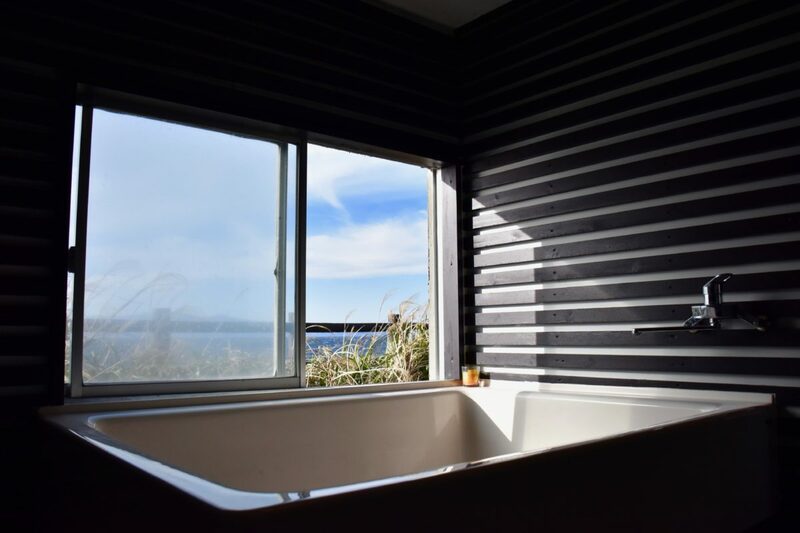 The large bath tub will fit up to three people, and what a view of the ocean. On a nice day Mt. 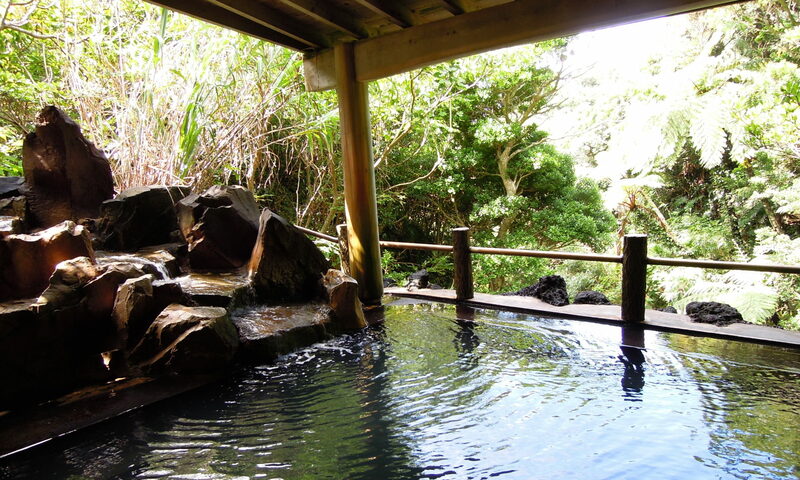 Fuji is clearly in view, and you can enjoy your bath time with a view that is second to none. 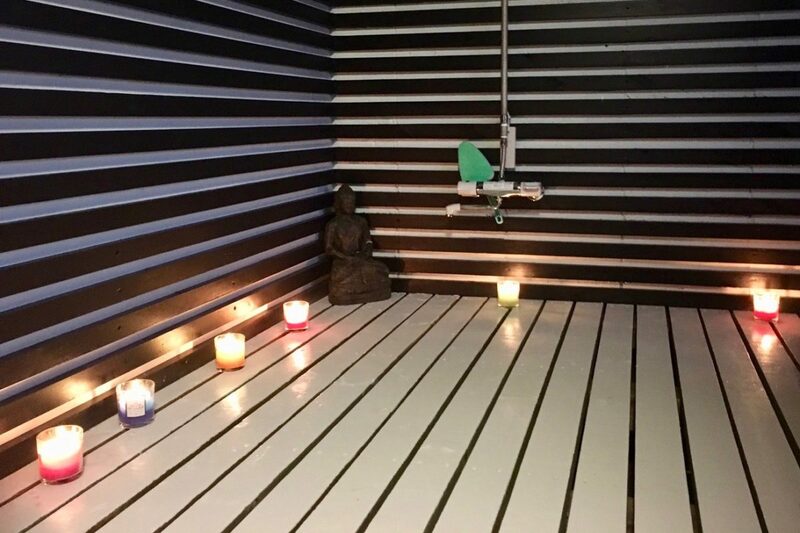 Light a candle to enjoy a relaxing candle bath. There are two bedrooms at Villa Thalassa. 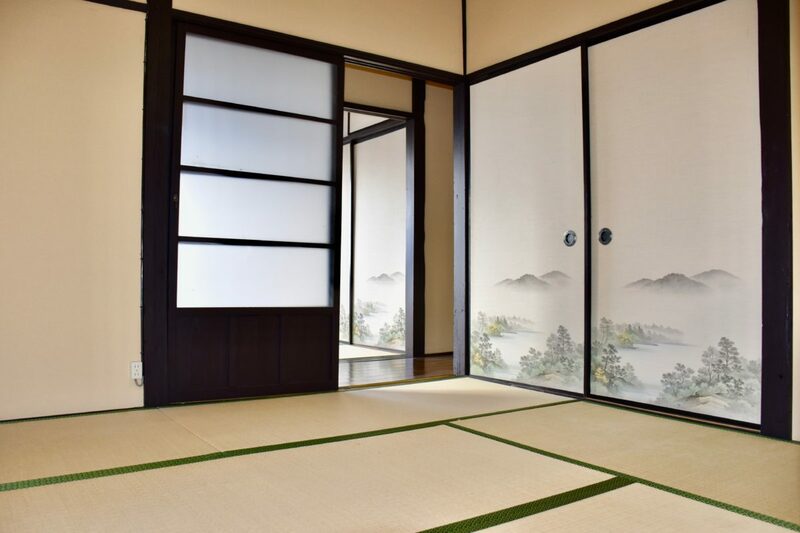 As both are designed with tatami floors, you get to experience authentic Japanese culture and sleep in traditional futons. View of Mt. 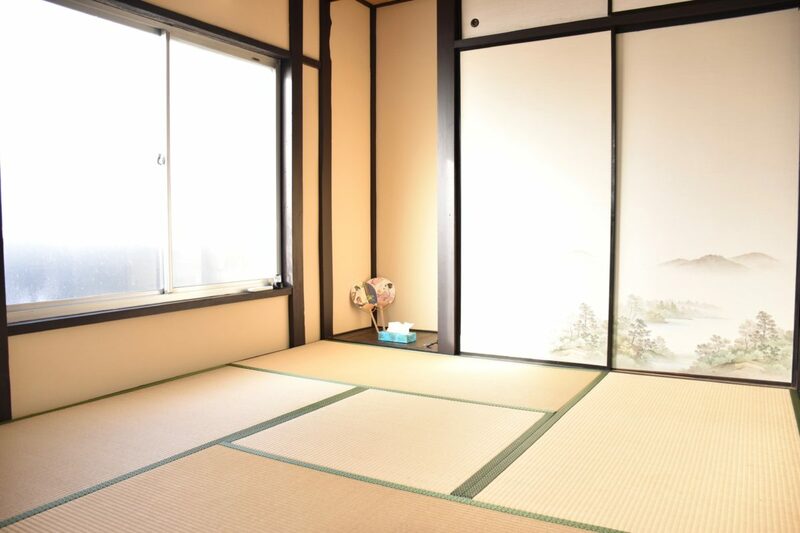 Fuji from the large bedroom that can fit approximately 3 people. A view so beautiful you can stare at it all day, and you can have it all to yourself at this incredible place. 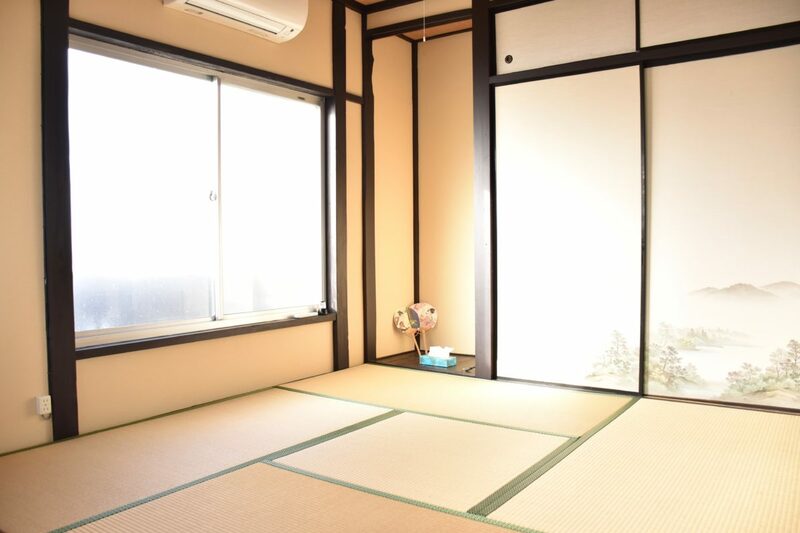 The second room is a little smaller and designed for two people. As the house is located in a secluded area away from the town center, it’s perfect for those looking to take it slow. There’s a table and sofa that fits two people in the living room. The sofa is so comfortable that once you sit on it it’s easy to forget the passing of time. There’s also a kitchen, so many of the guests pick up groceries from the supermarket and cook their own dinner here. 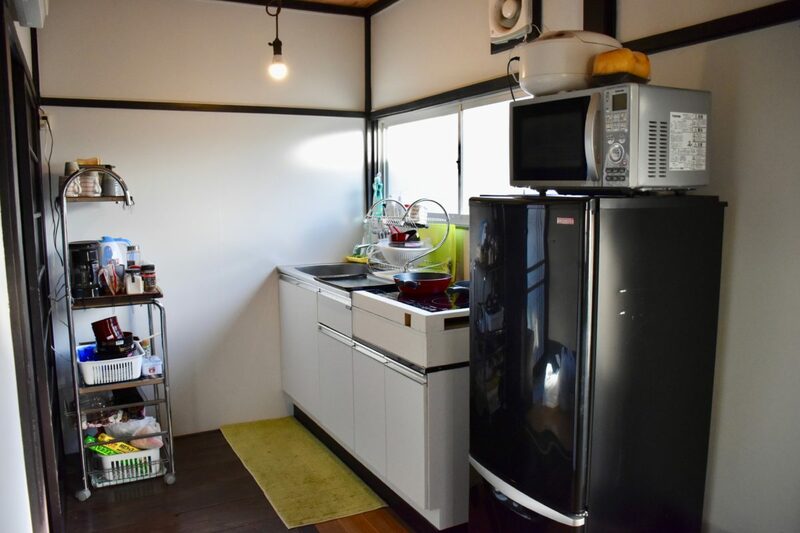 For those planning on staying in Oshima for a longer trip, the kitchen is super convenient. Tableware and seasoning is provided, so if you’re tired of eating out or you just want to take it easy and stay at home for dinner, the kitchen allows for greater flexibility to your plans. While there’s a store nearby, Motomachi Port area with plenty of supermarkets is just a seven minute drive away. 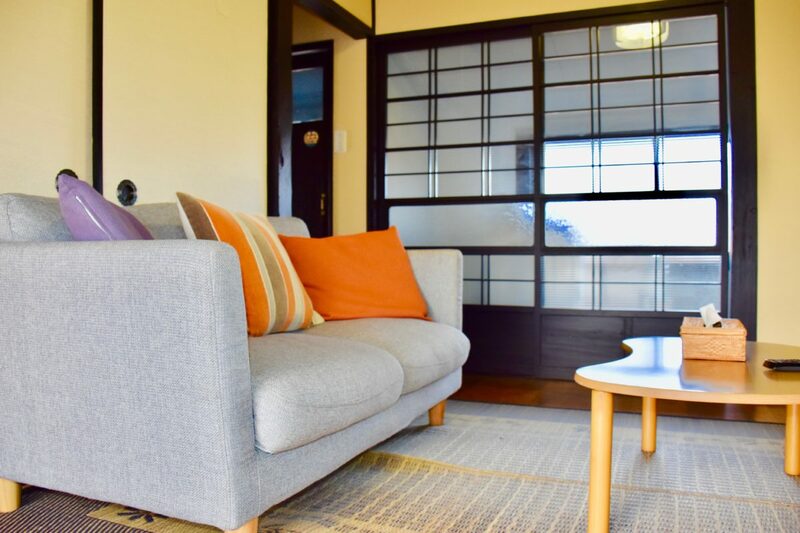 The house is a seven minutes drive from Motomachi Port (the larger of the two on the island), 20 minutes from Okada Port, or 15 minutes from Oshima Airport. As Oshima itself is small enough to be driven around in just one hour, we recommend either renting a car or a moped. For those who can’t drive, the bus is the best way to get to the house. 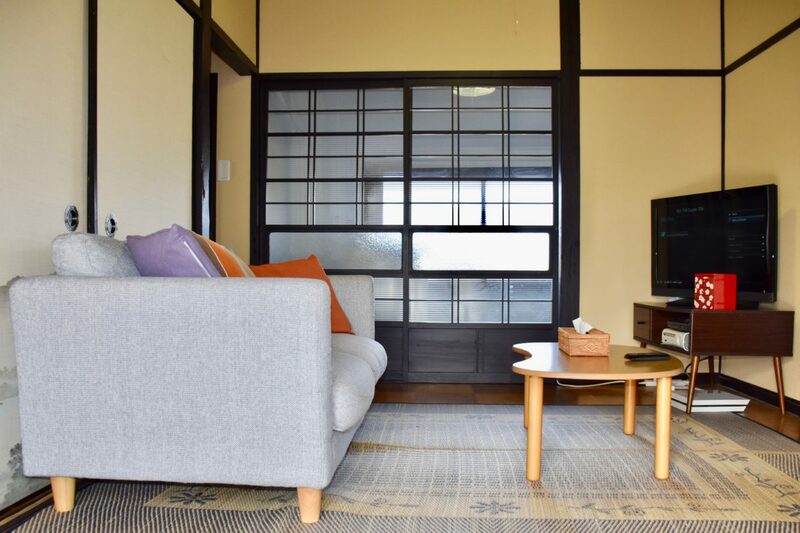 The house is a 7 minutes walk from the ‘Nomashi’ bus stop. While there is one bus every hour, it stops running late in the afternoon, after which you can walk or take a cab. Reservations can be made from booking.com. 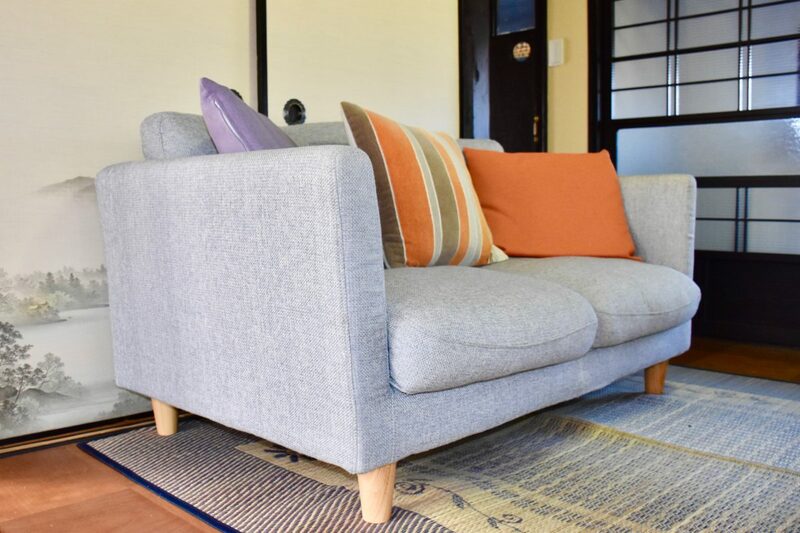 The maximum capacity is five people, but as you book the entire house the cost of the house remains the same regardless of the number of guests. Enjoy staying at a private house with a view of the ocean all to yourself at Villa Thalassa. A must for those looking to get away from the city and relax while on vacation. Previous PostPrevious Make your own Tsubaki oil!